You would be wondering by now about a Bento Menu. So I am going to share the ultimate guide of Bento recipes. 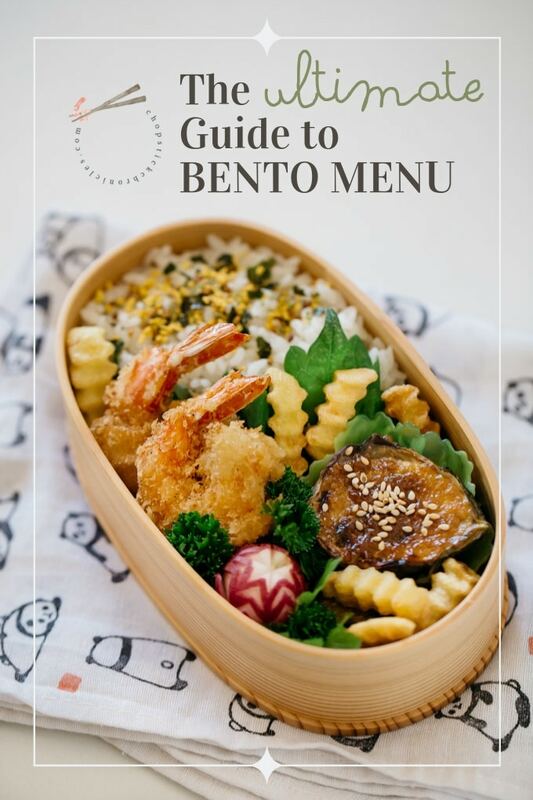 This is the only Bento resource you would ever need! When Japanese people pack Bento/Obento, they often consider rice dishes as the main dish. 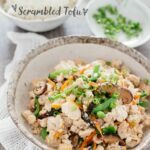 So simply fill half of your bento box with Plain cooked rice, or in Onigiri rice ball form, or seasoned rice dishes such as Fried rice, Omurice, or Takikomi gohan. For more different types of rice dish options, look here. 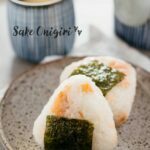 Also there are many different variations of Onigiri Rice balls in terms of filling. 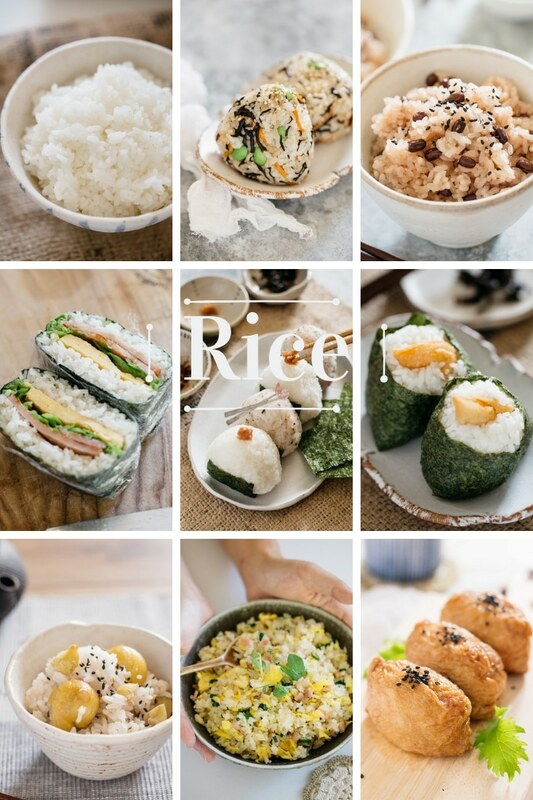 RecipeTin Japan explains very well about different fillings of Onigiri Japanese rice balls. Chopstick Chronicles’ Salmon Onigiri and Miso Butter Yaki Onigiri are great too! Once you packed the rice dish, then choose one or two hero side dishes of Obento. For example in the Obento menu I shared recently, was Meatballs and Tamagoyaki. As I explained in the Obento rules, you need to choose dishes that can be well seasoned. And remember to thicken the sauce and coat well. Also choose foods can be easily eaten with a pair of chopsticks. So it’s important that the ingredients are cut into small pieces already. For that reason, Just one cookbook Garlic Saikoro Steak ticks every rule. RecipeTin Japan shares a delicious, nutritious and eye catching Asparagus roll with Pork. No Recipes Miso Salmon and well seasoned with curry Curried Lamb Karrage go with plain rice so well. 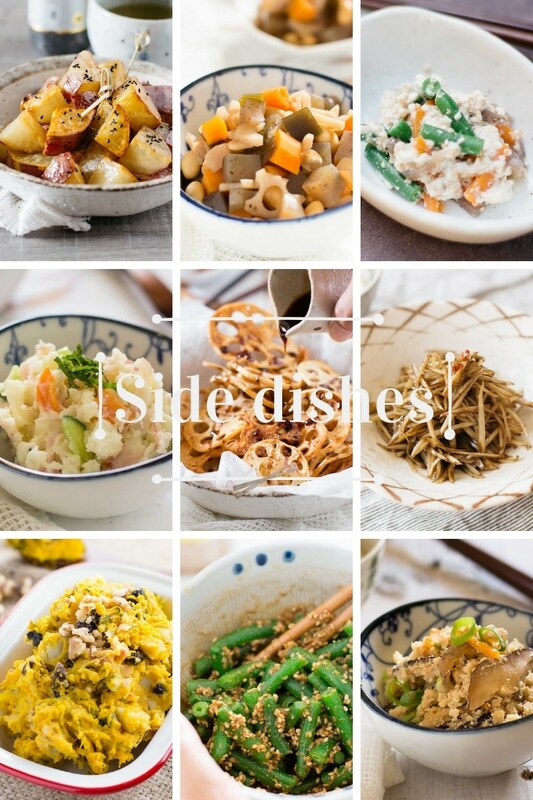 Ok, then we choose one or two more side dishes considering different textures, flavours and colour. I have noticed that Japanese hero dishes tend to be brown in colour. So, I try to lighten up my Obento with green, red and yellow. 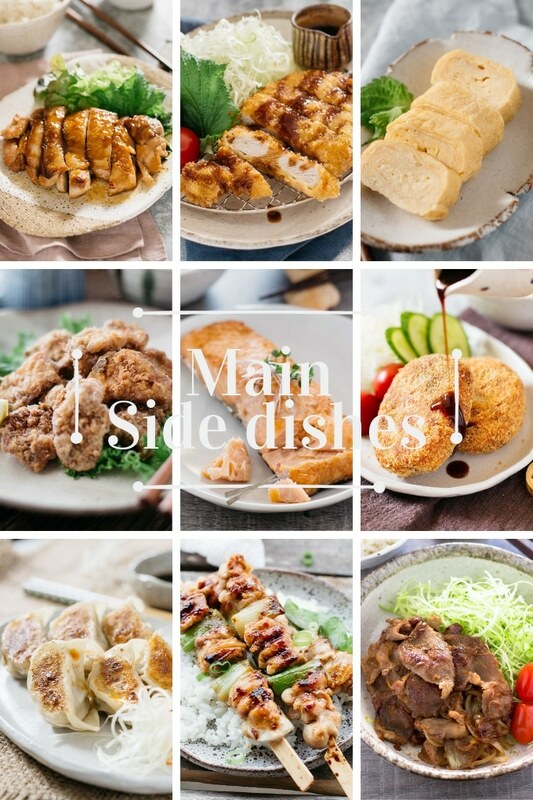 For the side dish choices in my recipe collections, look here. Also Just one cookbook Simmered Sweet Potato with Lemon is a popular side dish that Japanese people often add to their bento menu. If you would like to add something refreshing, RecipeTin Japan Japanese vermicelli salad is a great addition to your bento menu. 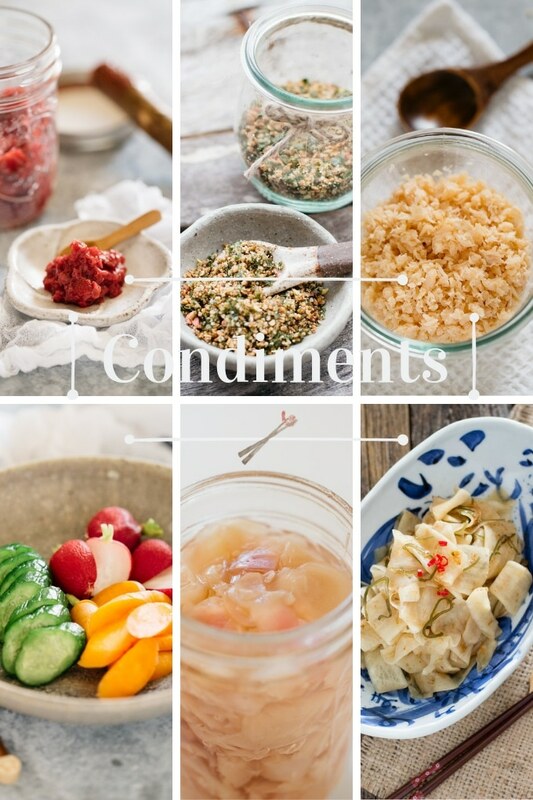 Side dishes need to be well seasoned and marinated dishes are definitely great. For that reason, No recipes Marinated Japanese mushrooms is great side dish to add into your bento box. Finally, the rice seasonings and Japanese condiments often added to a bento box are Umeboshi, Furikake rice seasoning, and pickled veggies. Umeboshi are particularly good as it has an antiseptic effect. So too has sushi ginger. Remember that we have to make sure the Obento does not go off easily. These Japanese condiments are not just adding colour or filling the gap, but also have an important job in the bento box. You can buy Furikake in packets but also it can be homemade. If you do not have access to the Furikake rice seasoning packet, look at my recipe. Similar to Furikake, salmon Soboro is great to eat with plain rice. Hope you enjoyed this post, and now have a better understanding of how Japanese people create delicious, nutritious and eye catching Obento. If you like the post or have any questions, please leave comments below. 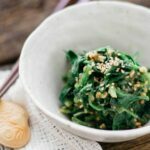 If you don’t want to miss the latest recipes and news for Chopstick Chronicles, please sign up for our weekly newsletter as well. We are publishing our first book in May, and also I am writing a FREE ebook for my loyal readers as well. So stay tuned! Thanks for the great ideas. One daughter is a real fuss pot and the other has dietry issues so this has given me some alternatives to the everyday usuals. Hi Teri, Thank you for the comment 😀 I am glad that the post is useful.